Vehicle specifications should be defined by the fleet application and mission requirements. It is important to design a truck or van that will accommodate your operational requirements rather than trying to make your operation conform to the vehicle. Without fully understanding the fleet application requirements and operating parameters, it is impossible to spec the best chassis, powertrain, and body necessary to optimize productivity. A common mistake made by inexperienced fleet managers is that they do not know a vehicle's operating parameters and payload requirements. You need to talk with the people in the field to understand what type of service the vehicle is expected to perform and how it will be used. The key objective of your discussions with drivers or technicians is to match the truck or van with the fleet application. When meeting with end-users, ask questions about their current vehicles. For example, is the powertrain right for their application? Similarly, investigate whether the gross vehicle weight (GVW) is adequate for the payload carried, or, is the gross combination weight rating (GCWR) high enough if the vehicle will be towing a trailer? When talking with employees who are actually using trucks or vans, you may discover they have problems unknown to you. It is common to discover problems with loading height, cab access, lack of bins, limited visibility when backing, or insufficient tool storage. 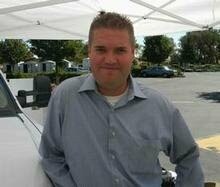 This is your opportunity to ask a lot of questions to determine vehicle or upfit deficiencies. For instance, ask employees about passenger requirements, how the payload is distributed, whether the vehicle will be fully loaded or operating with a diminishing load, and how they load and off-load cargo. Look at the existing vehicle and investigate the maintenance records. What type of problems has this vehicle had, if any? This will help you determine if the current vehicle is under-spec’d. If it is, then take the necessary steps to correct it. Usually, the majority of trucks or vans that have unscheduled maintenance problems are under-powered and overloaded, which, in addition to increased shop time, results in increased driver downtime. Your maintenance records will reveal that most of the vehicles that experience repeated mechanical failures are under-spec’d. When you’re building a medium-duty truck, there are a number of key factors that must be spec’d correctly, or you’ll make an expensive mistake. The foremost consideration when building a truck is payload. The weight of the payload determines the engine, transmission, size of tire, frame, and just about everything else. It is also important to understand how a vehicle will be loaded and unloaded to determine whether a liftgate or pull-out ramp should be chosen for the truck body. Ask how employees will load the payload. Do they use pallet jacks or forklifts? What are the dimensions of the payload? It is important to know the height requirements of the truck. For instance, if payload will be loaded and off-loaded at a dock, what is the dock height? If a forklift is utilized in the loading or unloading payload, it is essential to have the forklift reinforcement option included in the body specifications. Also, know where and how your drivers are securing the load. Take into consideration the height and bulk of your product to ensure the truck or van has the proper cargo restraint system. When spec’ing vehicles, past history is important but one negative outcome to using last model-year specs is repeating past inefficiencies. Fleet managers need to adopt a “clean sheet” approach to how they spec their truck or van fleets. Building a truck or van is a complicated process. Specifying the right vehicle requires hundreds of decisions and choices — and each choice potentially impacts another. When spec’ing a medium-duty truck, there are a number of key factors that must be spec’d correctly. If not, you’ll end up making an expensive mistake. Where it gets tricky is finding the balance to avoid over-spec’ing or under-spec’ing a truck, each with its own unique set of consequences. Over-spec’ing a truck or van increases the capitalized cost of the vehicle, while under-spec’ing increases maintenance cost. Another consequence to an under-spec’d truck or van is that it may require multiple trips due to limited payload capacity. Also, when spec’ing a smaller GVWR truck than required, the tendency is to overload the vehicle. Besides accelerating replacement of wear items, such as brakes, an overloaded vehicle also increases the company’s liability exposure if it is involved in a preventable accident. Overextending a truck or van's payload capacity beyond the chassis’ weight specifications is a good way to shorten the vehicle's service life. Overloaded trucks will cause premature tire wear, decreased fuel economy, and downtime due to engine or transmission repair. In addition, overloading results in fines and possible impoundment of the vehicle by the authorities. It can’t be emphasized enough: To properly spec a truck or van you need to talk with the people in the field to understand what type of service the vehicle is expected to perform and how it will be used. You should solicit input from field personnel to ensure that local issues affecting the vehicle’s operation are taken into account. When consulting with end-users, there are three components to determining payload requirement. The first is payload weight. How much weight will the vehicle need to carry in its daily workload? You need to determine the maximum need, not an average. The vehicle must be able to do the job every day with the maximum load at any given time. Payload weight will also help determine if the cargo can be loaded and unloaded by hand, or whether you will need a power liftgate or some other type of assist to get it up in the body or bed. Another determinant is in the volume or size of the payload. The vehicle needs to be large enough to handle the volume. And, you need to know how the payload will be loaded. Is it stackable? Can you stack it right to the ceiling? Or, can only the floor space be used? How do you secure the product? Getting any of these factors wrong can mean the truck or van will be spec’d incorrectly. The third component is the type of payload. Are you hauling loose gravel, pallets, or boxes of merchandise? 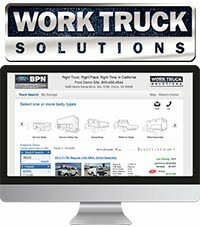 This will determine the type of truck or van and body combination you need to choose. The best way to determine actual payload is to take a normally loaded truck and weigh it on a highway scale. Another practical tip is to weigh the front and rear axle. This will tell you if you are overloading the whole vehicle or just one of the axles. In addition, you need to make sure that the vehicle can carry not only the payload but also any additional equipment you put on it. The fleet manager needs to add the body and equipment weight to that of any tools or other material that could be stored or transported by the chassis. To determine the correct vehicle size for the intended payload often requires a judgment call as to how much over-capacity to build into the payload capacity of the vehicle when spec’ing its requirements. Spec’ing the vehicle to the minimum necessary payload rating (by basing it on an average load or looking at only today’s business needs instead of trying to anticipate future needs) means that the vehicle will be operating at peak capacity most of the time, which may compromise safety and the length of its service life. Conversely, too much payload capacity is wasted capacity. Specifications should be defined by the application and mission requirements. Trucks must be equipped to handle very specific fleet applications, which require specifying a multitude of components such as the right drivetrain, suspension, and body. By understanding day-to-day fleet applications, you will be able to build a truck that meets the users’ daily needs. Without fully understanding the fleet application requirements and operating parameters, it is impossible to spec the best chassis, powertrain, and body necessary to optimize productivity. The same holds true with vans. Fleet managers must understand how company vehicles are intended to be used in the field; however, it is important to be aware that intended usage often does not match real-world usage. The most important first step to correctly spec’ing a truck or van is to meet and talk with the drivers or technicians who will be using the vehicle. This understanding will influence all truck specifications. It can’t be stressed enough that vehicle specifications must be defined by the fleet application and mission requirements. 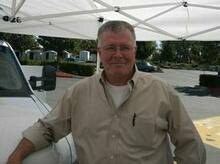 One way to increase truck or van productivity is to modify specs to increase mpg. The drivetrain, tires, engine, and aerodynamics of the vehicle must be properly matched to maximize fuel efficiency. Selecting vehicles with aerodynamic features can prove cost-effective. The rule of thumb is that for each 10% reduction in air resistance, mpg increases by 5%. Examples of aerodynamic modifications include specifying aerodynamic mirrors, moving air filters under the hood, and eliminating fender-mounted mirrors. Under OSHA regulations, an employer must provide a workplace (which includes upfitted work vehicles) free from recognized hazards. Across a variety of vocational segments, today’s fleet managers are devoting increased consideration to ensuring upfits will be ergonomically safe for the driver over the service life of the vehicles. 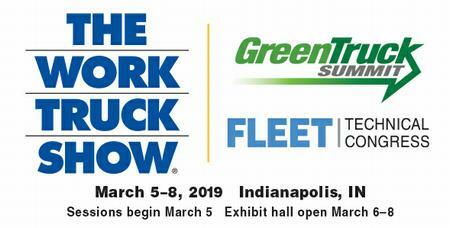 More fleets are requesting upfits with additional safety equipment, such as a rear-view camera, reverse sensing, back-up alarm, remote start, grab handles, convex spot mirrors, and drop-down ladder racks to reduce workers’ comp claims and to improve operator efficiency. To create an ergonomically safe work environment, make sure the vehicle is properly engineered upfront for the job it is required to do. For instance, if applications require crane installation on service bodies, the chassis GVWR should be sufficient for the application. Under-engineering can lead to unnecessary safety risks to drivers. When spec’ing auxiliary equipment, be cognizant of component weights. Extra weight not only increases fuel consumption but also reduces payload capacity. When selecting upfit equipment, review vehicle requests from the field and ask follow-up questions of drivers to verify the equipment is suitable for the job. Thoroughly train all employees handling the equipment in its operation and safe use. 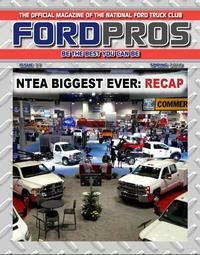 Develop written guidelines covering vehicle and equipment usage. Follow manufacturer guidelines to avoid unnecessary accidents. Field managers should regularly inspect equipment to ensure it is in safe working condition and that equipment is only used for its intended purpose. Often, decisions are made in the field to modify vehicles without the fleet manager being informed. The home office is often not aware of the modification until there is an issue, such as when someone complains about an ergonomics-related health issue. 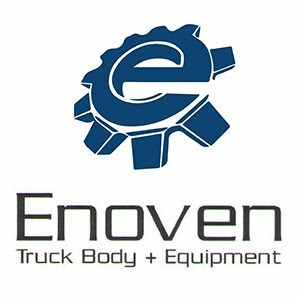 Trucks and vans are ultimately tools of a trade and the chassis merely provide mobility and power to operate equipment. When these vehicles are built to perform at their optimal performance, specifically in the areas of reliability, fuel economy, and driving experience, there will always be a demand and a market to resell these vehicles. While resale is a very important lifecycle consideration, the most important part of a lifecycle calculation for any type of truck, especially medium-duty applications, or van is building the right vehicle for the intended job function. 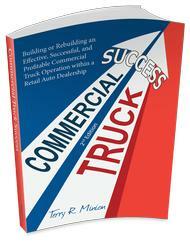 How you spec a truck or van has a direct bearing on its future resale. Nowadays you don’t want to spec a manual transmission. There are fewer qualified drivers today capable of driving a manual transmission than in the past. Automatic transmissions are required by most companies when selecting a vehicle, which makes automatics more desirable from a resale perspective. In addition to resale value, an automatic transmission assists in driver acquisition, retention, lower maintenance costs, and more uptime. In addition, for trucks, always specify the power take-off (PTO) provision. Even if there’s no need for a PTO for the truck’s initial use, the availability of the PTO provision will make the truck more attractive to buyers in the secondary market because it saves the future owner from having to pay to add the provision. Ultimately, mileage and general condition will likely play the greatest role in determining desirability and resale value.